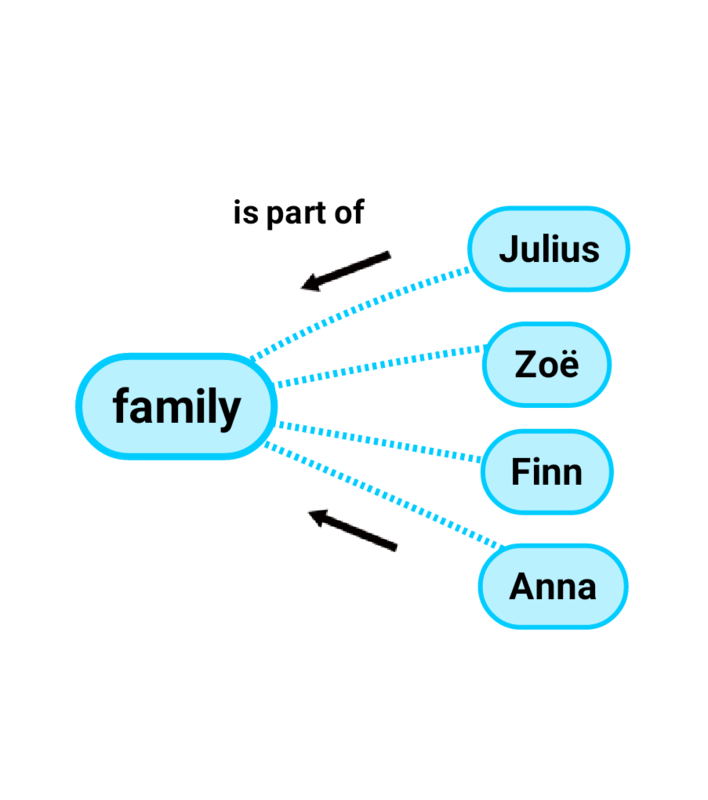 Reading mind maps is interesting, because it allows us to see what and how other people think. 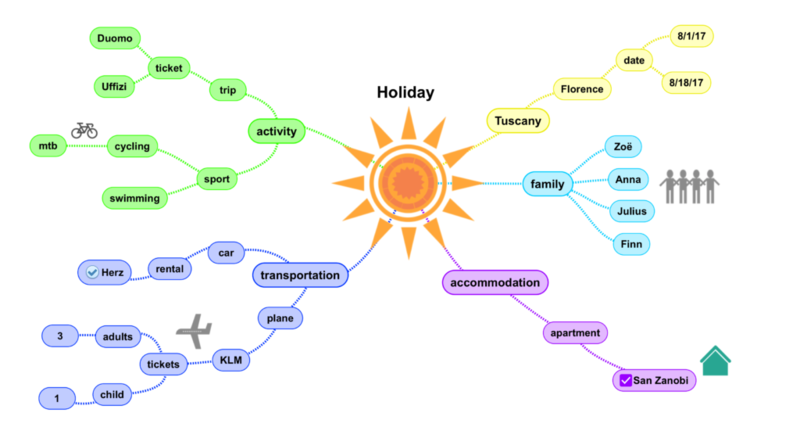 By reading mind maps of others we gain a better understanding of the way mind maps are made. Let’s take a closer look. The central theme in the middle is a thought, a problem, title, theory or just an idea. From the central theme associations radiate out. 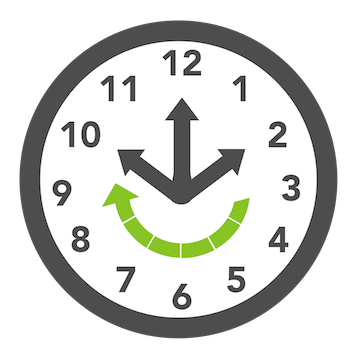 The mind map is always read clockwise from 02.00 till 10.00 and from the inside to the outside. 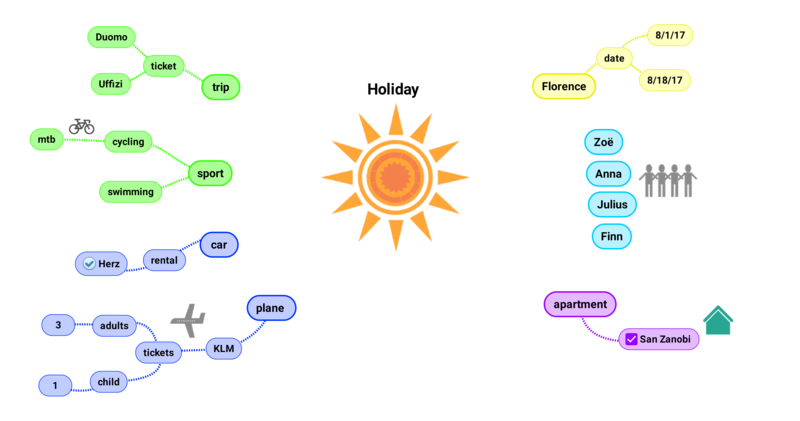 Every mind map is different with its theme and associations. But also similarities and patterns can be found in the way associations are ordered. Associations can be ordered from general to more and more specific. General associations can be made more and more specific by adding details. Another way associations can be ordered is from abstract to concrete. 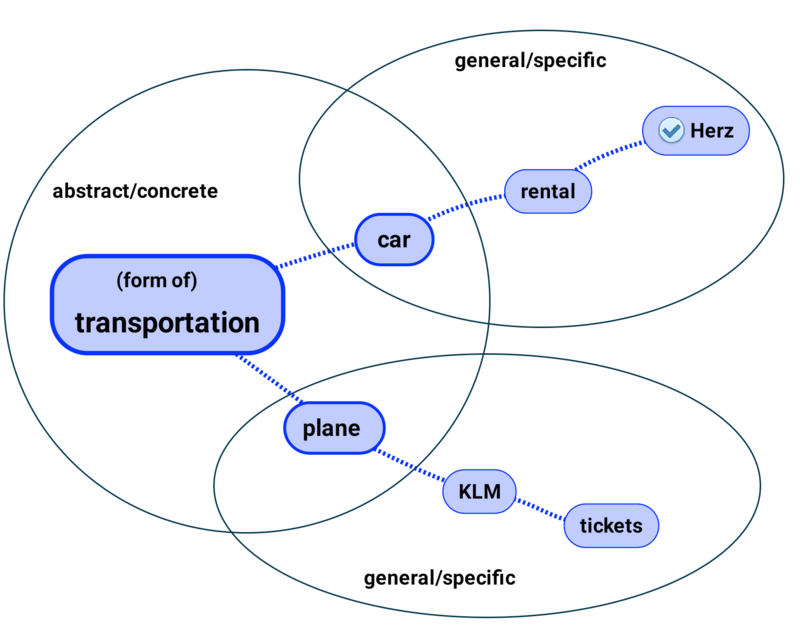 When the associations are ordered from abstract to concrete, the word “is”, “is a” or “are” can be used between them. The reading order is backwards from right to left. When something becomes more concrete, an image can be formed it. It’s something you can hold or do. Associations can also be ordered from whole to parts. 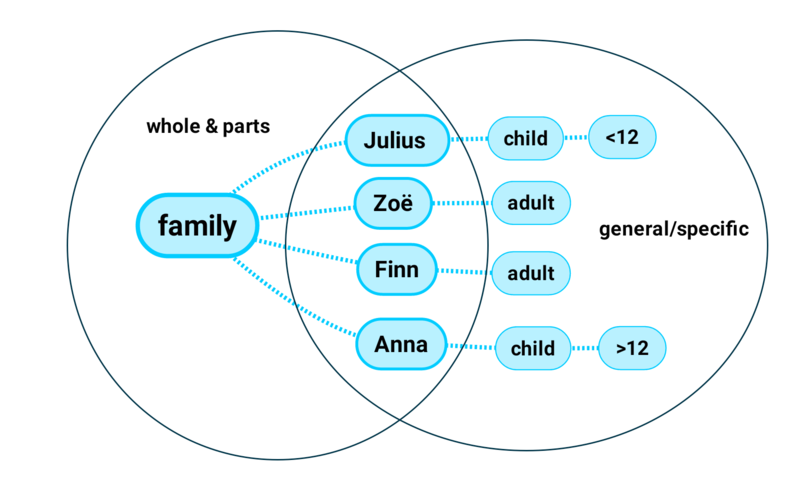 When associations are ordered whole and parts, the word “is a part of” or “are part of” can be placed between the associations. The reading order is backwards, from outside to the centre. The whole and parts belong together. The “family” only exists when it has members. If you can say “is a” between two associations, then there’s an abstract/concrete relation. If you can say “is a part of” between two associations, then there is a whole/parts relation. If you cannot relate the two associations in the ways above, then you are probably dealing with a general to specific relation. 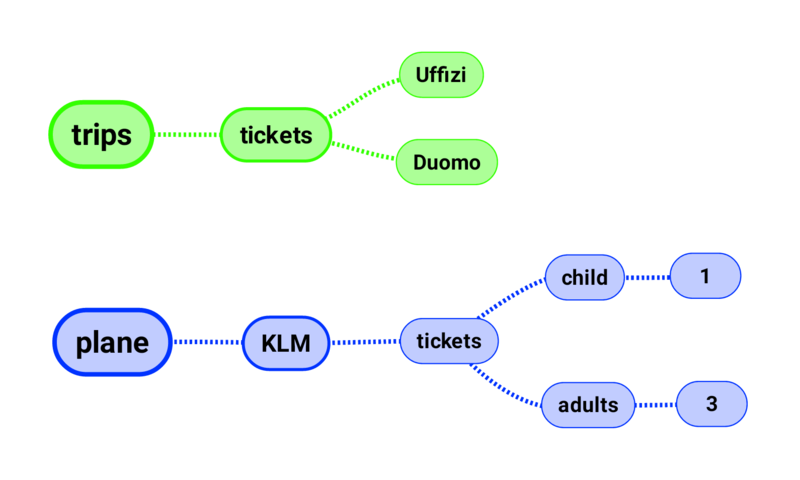 Patterns can often be seen in mind maps. The first level associations (or concepts) that are directly associated with the central theme are usually more general, abstract or whole. Associations further away from the theme become more specific, concrete or parts. 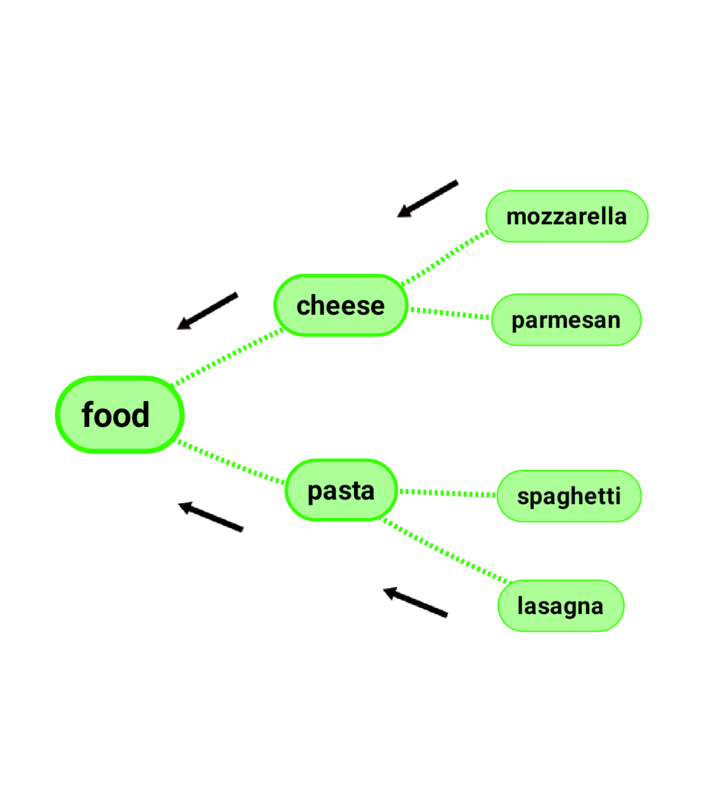 Within a mind map different types of ordering may be mixed. 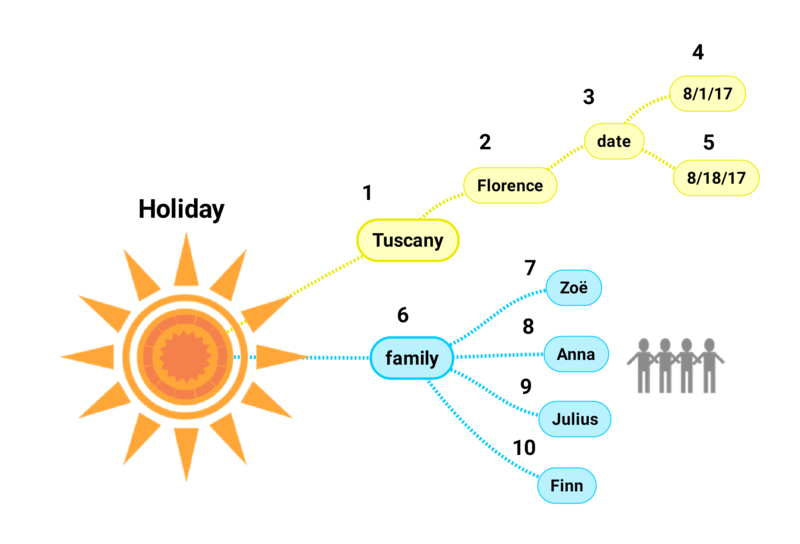 Every mind map tells a story with it’s theme and associations. It’s like a book. The central theme is the title. The associations from the theme are the chapters. The chapters are worked out into paragraphs and subparagraphs. 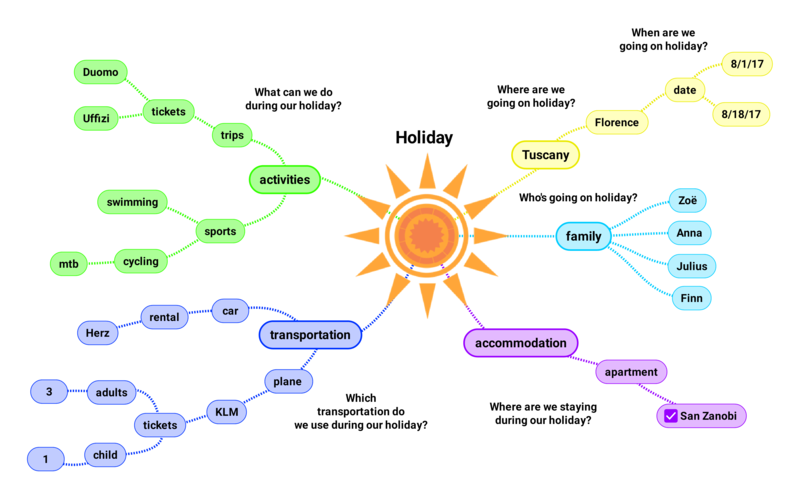 A mind map usually consists of answers given to questions. The questions themselves are mostly not in the mind map. For a better understanding these questions can be reconstructed. The questions are often 5-w questions: what, why, who, where and when? 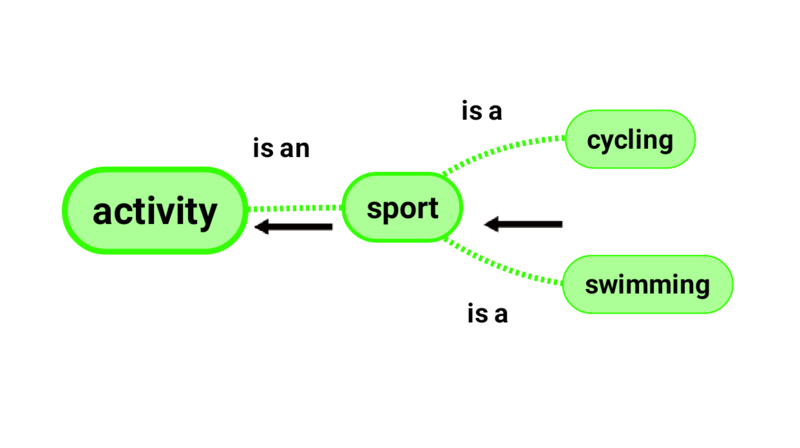 When a 5-w-question is successfully reconstructed, the answer in the mind map becomes more clear. Color makes the mind map more interesting. 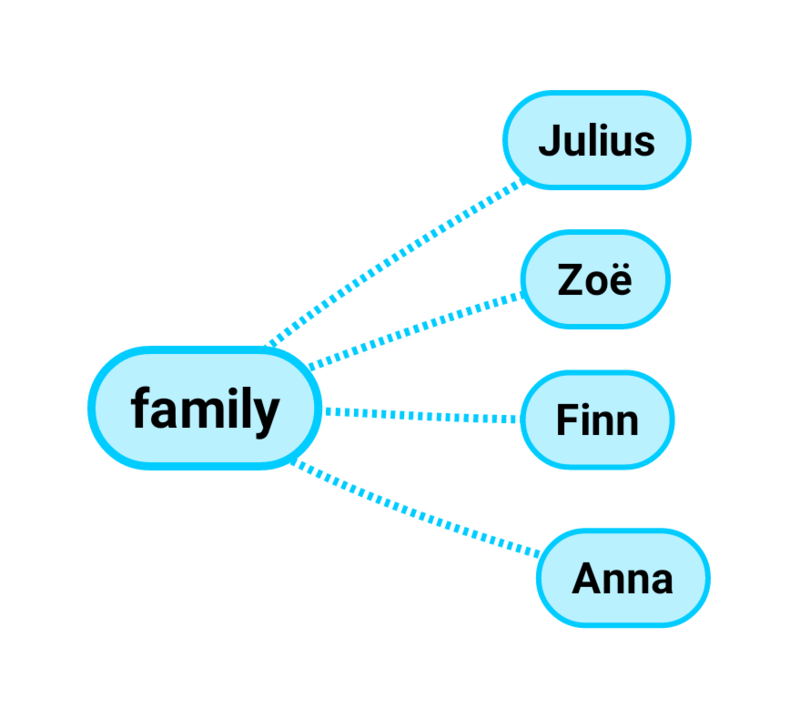 It gives the mind map strength and makes it easier to read. Images guide attention and contain much more information than words. 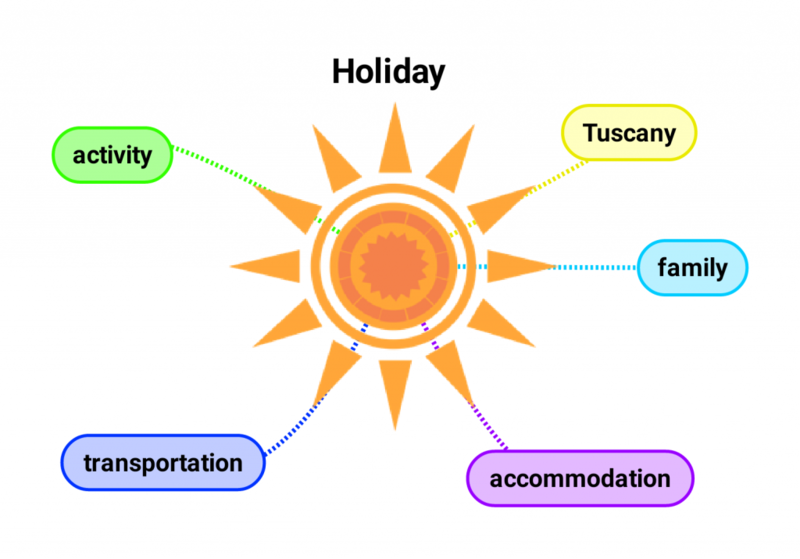 Fig.21 The central theme “Holiday” is represented by a warm orange image. 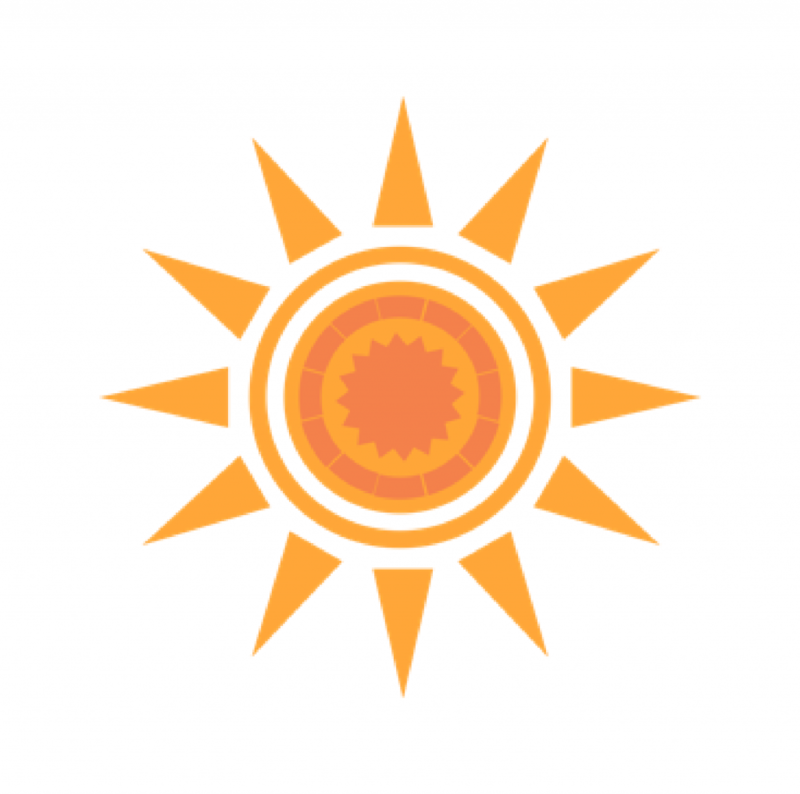 The symbolic sun matches intuitively and will flood your brain with memories of holidays past. 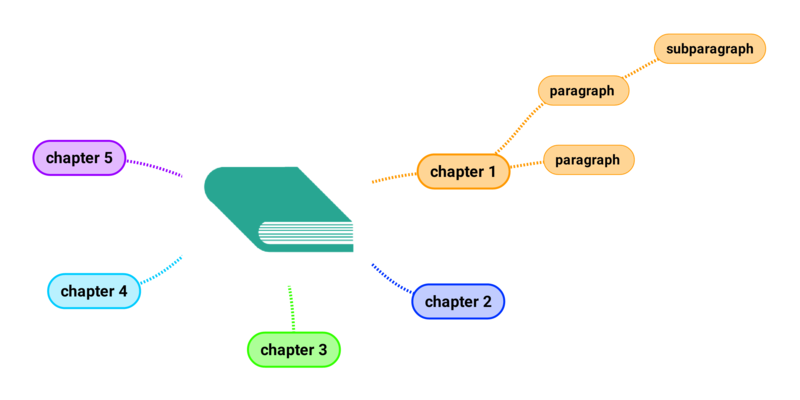 Different colored lines help to separate the different areas of the mind map. Color gives extra strength to the associations and it can have a meaning of it’s own. 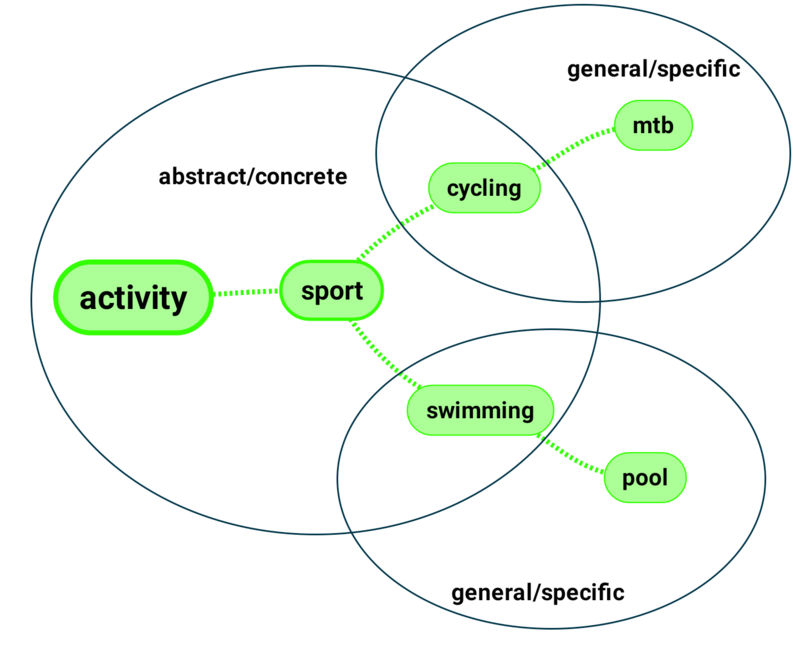 Fig.22 The color green is used for “activity” because of it’s intuitive connection with health. Images like the people, house, airplane and bike help remembering and distinguishing between the areas. 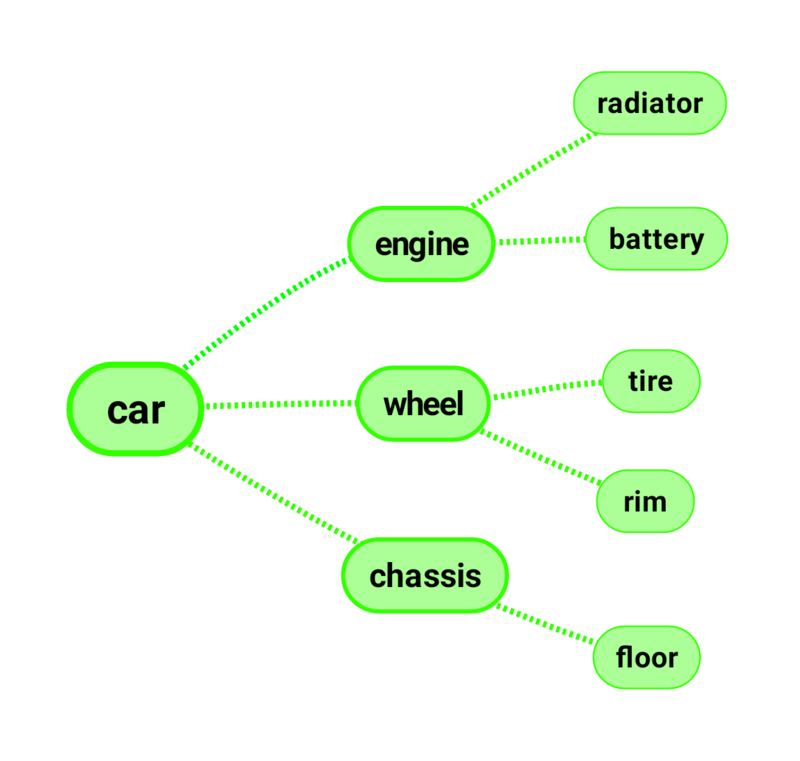 These images often appear on the border of the mind map, because concrete and specific associations evoke images.